Yeah, I know. I just showed those fabrics off. Well, I couldn’t wait to cut into them and start piecing, so I didn’t pre-wash and iron. *gasp* I know! I’m almost sort of horrified too. Of course, now that I’ve gone done it, I’m really thinking that might become my modus operandi. But that’s a tangent! Look, look, look! I’m in a state of creativity that is very receptive to non-neutral solids at the moment. I’ve always loved solids, but they were always neutrals: white, black, gray, beige… Colored solids are damned near an innovation for me. 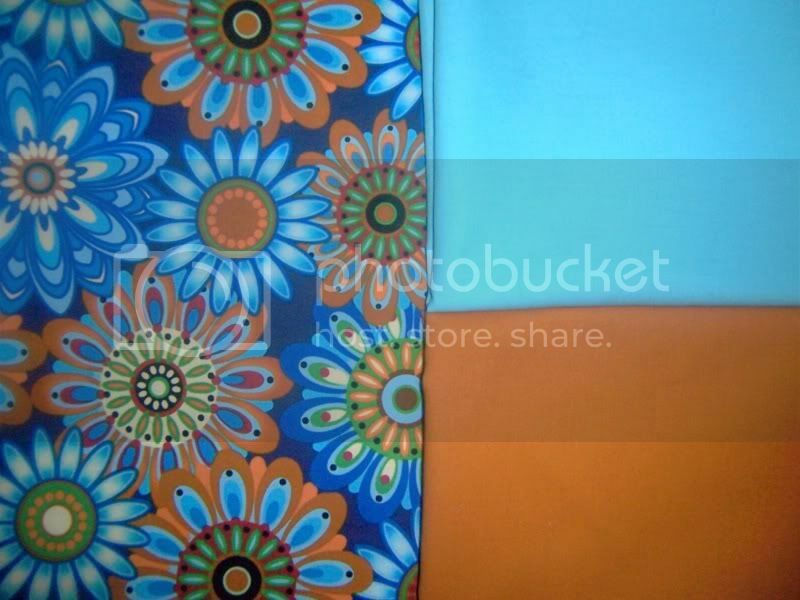 On the topic of fabric… The above is a perfect illustration of why I dislike matchy-matchy fabric lines. There’s no focal point in a quilt that uses fabrics from the same line. There’s no star, no pop. Just a lot of the same shades and tones, and similar shapes. Boring. Very. Boring. If I limited myself to working within fabric lines, I’d never have given that focal print a second glance. Hell, I probably would have never noticed it. It wouldn’t have spoken to me. And, yes, I know that fabric lines can simplify the buying and planning process. But where is the artist’s input into that quilt then? Yes, you, the artist. You, the person buying and cutting and sewing those fabrics, should have a deeper investment into the fabrics that you’re pouring your creative energy into. Go wild! Get out of that matchy-matchy box. Experiment! Live a little! Play. It’s just fabric and thread. It’s not like you can’t pull out your seam ripper if it doesn’t match your mental vision. The process of taking a cut of fabric into a work of art should be fun and engaging, challenging and inspiring. Not an exercise in how well you can display someone else’s vision, as pretty as those visions are. Well, I would now argue that modern quilting is actually just really, really traditional quilting. 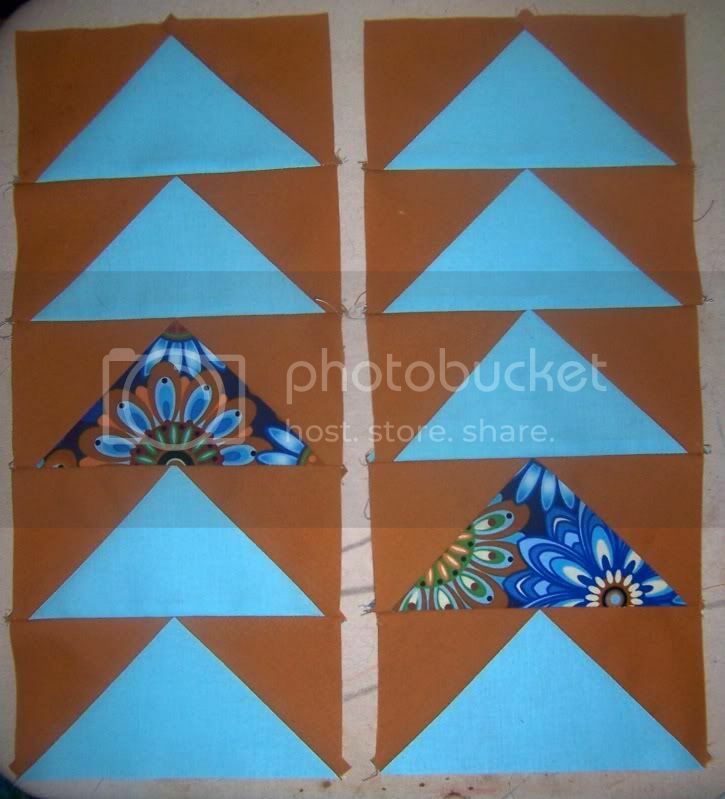 Before people got caught up in intricate pieced patterns with a million different templates and detailed quilting. Oh, and just because you throw the word wonky or improv in front of it doesn’t necessarily make it modern. Don’t get me wrong. I love the ‘modern’ quilt movement, and I am happy that I’m participating in my area Modern Quilt Guild, but really, the quilts I’m most attracted to, are most similar to very traditional quilts, barring modern color choices. And really, I can’t say that my quilting predecessors wouldn’t have picked the very fabrics that I select now. They just didn’t have the same options I do now.